On Friday, November 30, The Goddard School York celebrated the ground breaking of their new addition with their staff and team members from RSDC and Core Design. A 3,000-square-foot building is anticipated to open in the spring of 2019 and will be constructed next to the current Goddard School. It will allow more children ages six weeks to six years old to attend the York location. The Best Places to Work in PA program is dedicated to identifying and recognizing Pennsylvania's best employers. "The Greatest Show" at the Lancaster County Convention Center was a chance for employees to celebrate and show their pride for their companies. So who won in the small, medium, and large company categories? Here are the rankings for the best small companies of 2018. As Downtown Inc prepares for its fifth annual Masquerade Ball on Saturday, Royal Square Development and Construction is helping the nonprofit transform the former Pewtarex facility, located at 145 N. Hartley St., into an event space. 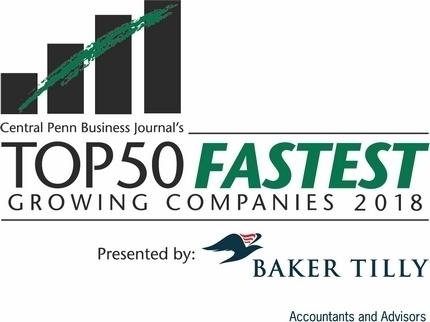 "While it’s a blank canvas today, The Foundry could one day anchor the western edge of Downtown York and reinvigorate the neighborhoods around it"
The Top 50 Fastest Growing Companies program recognizes the region's most dynamic companies that have made significant contributions to the strength of our local economy. Another historic building in downtown York is undergoing renovations. It is the Rupp Building, a landmark in downtown York. Royal Square has been hired to renovate the 23,436 square-foot building and clean its exterior. Pennsylvania's Historic Preservation Awards continue a tradition started in 1979 to honor excellence in preservation. The annual awards recognize significant contributions in the field of historic preservation made by both individuals and organizations. Dylan Bauer, development director and Jay Lamison, superintendent, of Royal Square Development & Construction talk about cleaning out the former Market Street Saloon building in the first block of West Market Street. York's RSDC Inc. is the winner of 10,000 Friends of Pennsylvania's inaugural Louis J. Appell Jr. Leadership Award. The award, in its first year, is intended to be the highest award given by 10,000 Friends -- a statewide nonprofit dedicated to the improvement of the Commonwealth -- to private sector companies, according to a media release. Cobblestones Bar & Grill made a lot of memories during its run. The nightclub also accumulated a lot of stuff, which its new owners, Royal Square Development Company, hope to sell at a public auction this month. “We’re trying to get the building cleared out so we can sell it," said Dylan Bauer, RSDC vice president of real estate development. For the last several years, a corner property at the gateway to York’s Cherry Lane has been vacant, but later this year, the 3,000-square-foot space will transform into a whiskey and pizza lover’s dream. The Fig and Barrel, owned by Shrewsbury residents Nathan and Lisa Novak, is expected to open at 25-27 W. Market Street this fall. The duo will turn the space into a whiskey-driven, wood-fired brick-oven pizza gastro pub. REVI Flats is the name of a mix of commercial and residential space that includes the former Weinbrom Jewelers, F.W. Woolworth and Zakie's nightclub buildings on West Market Street. The loft space was once home to the Zodiac and Big City nightclubs, the last of which closed about 17 years ago. According to Dylan Bauer, development director for RSDC, history tax credits were used to repurpose mezzanine railings that were at the sides of the nightclub in creating the upper levels of the lofts. 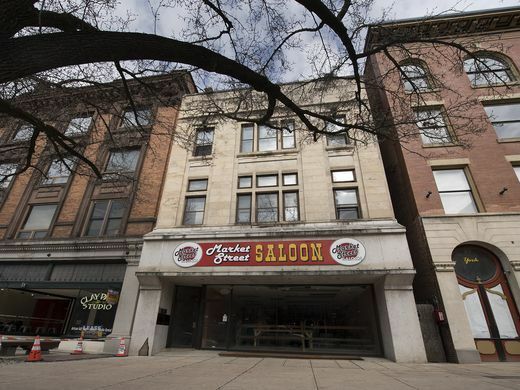 The Cobblestone's bar and restaurant building in York sold for $300,000 at an auction Monday. RSDC, the company formerly known as Royal Square Development & Construction, is buying the 37,000 square-foot, three-story building at 205-209 S. George St.
RSDC plans to renovate the building and seek a tenant, most likely a restaurant-night club, RSDC President and CEO Josh Hankey said Monday. The renovation of the porches on the historic National House will be complete after some light painting when the weather warms up, according to Dylan Bauer, vice president of real estate development for RSDC. The project at the intersection of Beaver and West Market streets in York, which has lasted over a year, replaced posts and decking with fiberglass and composite materials. At one point, a wooden tunnel was built to allow a safe area for pedestrians during the project. 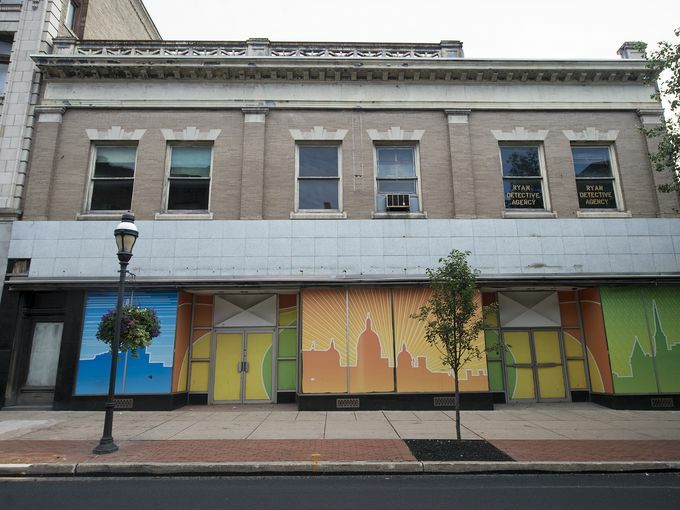 Crystal Ball Brewing Co. will open a tasting room at the former Weinbrom Jewelers building in York, adding another element to downtown's growing food and beverage scene. The tasting room will offer 10 to 12 Crystal Ball beers on tap and is slated to open by May, said Jesse De Salvo, one of the craft brewing company's owners. The space is just over 500 square feet and located along South Beaver Street at the far south end of the building. When diners bite into a Ruffed Grouse sandwich at Isaac's restaurant downtown York, they probably aren't focused on capital investment, economic stability or business retention. But downtown York officials are. Good things can happen in a central business district when a national or even regional chain sticks its flag in the sidewalk and opens a new location. The event runs from 6 to 10 p.m. at The Bond – at 134 E. King St., York – and includes a car smash, food from King Brät Gourmet Hotdogs and live music by Seasonal, Weird Year and Sleepy Limbs. Beer from Collusion Tap Works will also be for sale. 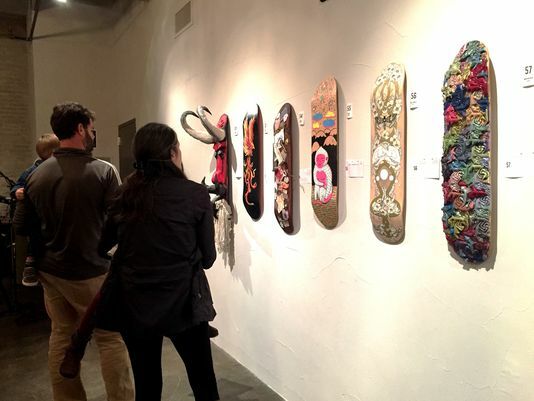 Proceeds from the auction benefit the participating artists, The Parliament and Reid Menzer Memorial Skate Park, which was created to give skaters a safe place to practice. Visit The Parliament’s Facebook page for more information. The National House, at the intersection of West Market and Beaver streets in York, has changed its look several times since the original building was constructed in the early 19th century. But with its current renovation, the look isn't going to change. Fiberglass posts and composite decking will replace wood, according to Steve Mansberger, a job supervisor for RSDC, formerly known as Royal Square Development and Construction. The composite decking, or floor, of the porches will have seals to keep water from seeping into the wooden structure below. The year was 1916. The sport of basketball, invented by Canadian James Naismith just 25 years earlier, was gaining in popularity. The first dunk in an NBA basketball game was decades away from happening, as was the league itself. But that year, the building now known as Voni B. Grimes Gym opened its doors on East College Street in York as part of the York Collegiate Institute, a forerunner of today's York College. It was called the College Avenue Gym back then. When Glazin’ shut the doors to its Duke Street shop in September, it left a sizable hole in the heart of York’s Royal Square district. That hole was filled Thursday when officials from Taste Test said they will soon inhabit the two properties on South Duke Street. Click on the photo to view the YDR Gallery. An insurance agency has a new home in downtown York. Insurance Services United, an insurance agency which previously purchased the building at 123 E. Market St., opened the new location earlier this month. The 6,000-square-foot office building is the former location of Bailey Travel. Insurance Services United and Royal Square Development and Construction, a development, design and construction company spent nearly a year going through the process of locating a building, purchasing, renovating and officially opening the new office. Isaac's Famous Grilled Sandwiches will be moving in to downtown York City at the corner of West Market and South Beaver streets, according to Royal Square Development, which is leasing the space to the restaurant. Dylan Bauer, Royal Square's vice president of development, presented the plan to bring the sandwich chain and four boutique stores to the first block of South Beaver Street during the York County Economic Alliance's monthly breakfast Wednesday morning. Renovation work is underway at the former F.W. Woolworth building on West Market Street in York. RSDC, formerly known as Royal Square Development and Construction, is turning the building, once home to a five-and-dime store, into 2,500 square feet of commercial space on the first floor and 21 apartments on the upper floors. Woolworth's closed in October 1997, leaving behind memories from a time when department stores were located downtown rather than in suburban shopping centers. Michelina "Mikey" Shirey plans to tap into York County's sweet tooth and sense of nostalgia. The Springettsbury Township resident plans to open Memory Lane Sweets in downtown York early next year. What Shirey calls a "vintage-style candy shop" will be in one of the retail spaces along the South Beaver Street side of the former Weinbrom Jewelers building. RSDC, the company formerly known as Royal Square Development and Construction, is renovating the building at the corner of South Beaver and West Market streets for a first-floor restaurant, and retail spaces and apartments on the two upper floors. Carol Oldenburg is one of York County's best-known visual artists. Oldenburg's works have been displayed at YorkArts, the Delaware Center for the Contemporary Arts in Wilmington and at galleries in South Central Pennsylvania, Philadelphia and California. Her work was included in the art exhibit at the State Museum of Pennsylvania that was part of the celebration of Gov. Tom Wolf's inauguration in January 2015. After more than a year of planning, building, dreaming and brewing, Collusion Tap Works is nearing completion and will open soon in the Royal Square neighborhood of York. “It’s about time,” Collusion co-owner Jared Barnes laughed. Barnes, a brewer for six years, hasn’t been able to brew beer since he left Wyndridge Farms in Dallastown while planning to open Collusion Tap Works. “Getting back into a brewery is essential for me,” Barnes said. “I’m ready to get back into the fold.”Barnes studied under the World Brewing Academy — a joint program between Doemens Academy and the Seibel Institute of Technology in Chicago — where he received his Master Brewer’s certification. A restaurant and bar are in the works at one key piece of real estate in downtown York. Diane Coppola, a Hanover-based pizza shop owner, has signed a lease at 25-27 W. Market St., which housed Bourbon Street Saloon and Evolution Nightclub, previously Zakie's Nightclub. Coppola, who owns Sal's Pizza & Subs in Hanover, said she and her family are collaborating on a full-service restaurant. The properties involved are 117-119, 121, 127, 129, 137 E. Princess St. and 146 and 148 S. Howard St. All are owned by the city's Redevelopment Authority, which owns many of the city's abandoned properties. Bauer said it is still to be determined how this will work. He said a couple of the buildings are in very rough shape, so it's unclear how much of a potential project would be renovation and how much would be new construction. Over the past five years, significantly more businesses have opened in downtown York than have closed, showing a trend toward growth in the center of the city, Daily Record research shows. At least 37 brick-and-mortar businesses have opened downtown since 2011, according to multiple sources, including Downtown Inc. An additional four are scheduled to open this year. During the same period, at least seven similarly categorized businesses have closed. RSDC will pay the RDA $1,000 for the 12-month option, which is renewable for an additional 12 months. The option gives RSDC and its partner, which Bauer declined to name at this point, time to pursue the project without having to worry about another developer buying the parcels —a mix of buildings and vacant land— from the RDA. RSDC would still have to negotiate a purchase price. Bauer declined at this point to provide many details about the plans, including how many apartments would be built and for how much they would lease. It is still to be determined what color everything is going to be, he told The York Dispatch after the meeting. But during the meeting he said the owners were leaning toward a color much like that of a manila folder, which would be a significant departure from the dark green it is now. That will be fine, though, HARB's members decided, because the black-and-white photos showing the original columns from around 1900 don't make it clear what color the columns were. Board member Teresa Johnescu asked the all-important question: "How's this gonna affect the Holy Hound?" Twelve students from the Crispus Attucks Youthbuild Charter School worked on a soon-to-come community garden and courtyard located in Royal Square on Wednesday evening. It was their first day on the job, but they laughed and joked with each other while shoveling dirt, pushing barrels and moving heavy equipment. The students were volunteering through the Crispus Attucks HYPE program. The program works with local businesses and organizations to get youth volunteering in the community while also developing their professional skills. Can small business revitalize York? Cities seeking revitalization need a cooperative effort from government, business and industry, community members and civic groups and nonprofits all working together, or so was the consensus coming out of the historic Yorktowne Hotel in York City recently. The second installment of York College's Henry D Schmidt Lecture Series, dubbed "Entrepreneurship as a Tool to Revitalize our Cities 2.0," drew 90 registered attendees Wednesday, including top area business leaders, small-business owners and interested community members. Who's moving into the new apartments in downtown York? "I only looked in the city," he said of his apartment search. Carter, 48, is among people moving into new, upscale apartments in York. Many, developers say, are people new to York who have moved into the city from the York County suburbs or from outside the area. The city is about to see more upscale apartment units as four developers are vying to build housing in York's Northwest Triangle. Several groups with a vested interest in improving downtown York City have been working together as the area sees more business growth in 2016 than any year in recent memory. Speaking at a recent Downtown Update meeting, Natalie Williams, Downtown Inc's small business liaison, outlined seven restaurants or breweries that had already opened or expanded downtown this year and nine more that are planning to open or expand by this fall. The three buildings in the first block of West Market Street in York City, like many of their neighbors, have been empty for years. One was a cavernous nightclub, another once upon a time was a department store, the third an old jeweler. But the plan is by the end of next year, they will be full of retailers on the ground floors and residents in high-end apartments that'll be called Revi Flats. REVI Flats is the name of apartments planned as part of a Market Square redevelopment effort in York, the company working on the project said. The project, a mix of residential and commercial space, includes the former Weinbrom Jewelers, F.W. Woolworth and Zakie's nightclub buildings on West Market Street. The turreted and domed red-brick building across the street from Central Market in York City over the next few years could come to contain anything from apartments to office space to a club. The York Rescue Mission has sold its youth center at 55 W. Philadelphia St. to the city's Redevelopment Authority, which on Wednesday voted to authorize staff to enter into an agreement with Royal Square Development to undertake substantial work on the palatial old brick building. Remember the days – before kids had cell phones – when playing arcade games was a pastime? The days when kids used to spend all day trying to beat each other’s high scores just for the fun of playing – not to win a prize. That’s what Brandon Spencer is trying to bring back at Timeline Arcade.. The Hamilton Building at 31 South Duke St. in York is finished and partially rented as newly painted facades transform the city street a block away. The building contains six apartments and will rent from between $650 to $700 per month. All utilities and spaces have been updated with hardwood floors retained where possible. An economic development group will announce on Wednesday its allocation of a multi-million dollar New Market Tax Credits investment toward funding a project in York City's Central Business District. Community First Fund, which was awarded a $30 million allocation of credits from the U.S. Department of Treasury in June, is holding a press conference at 1 p.m. Wednesday at the corner of Beaver and Market streets with Royal Square Development, which is receiving $8.5 million in credits. The East Market Street building in York City that served as a social gathering place for York's business leaders for more than a century will soon serve as a hub to connect future potential business leaders with the city. 56 Urban Provisions, the corner food market, clothing and vintage goods store Royal Square Development and Construction opened last year, will change to an all-food format by the end of September. The shop, operated by Royal Square's retail arm, Oliver & Co., will expand its current food offerings by adding a produce section with organic and locally grown fruits and vegetables; grab-and-go items like yogurt, bagels and fruit and an expanded coffee selection, including bagged coffee from York's Green Bean Roasting Co. and Cafe Du Monde in New Orleans. The Central Penn Business Journal is proud to announce the winners of its 21st annual Forty Under 40 awards, which recognize up-and-coming leaders in Central Pennsylvania. The winners include attorneys and accountants, CEOs and chefs. They will be honored Monday, Oct. 12, 2015, at the Hilton Harrisburg. Winners are listed alphabetically by last name. Walking up and down Duke Street in downtown York, Josh Hankey can hardly contain the excitement brimming from his clean-shaven face as he points out each property either successfully renovated or well on its way with a distinct vision in mind. Wearing a brightly colored Hawaiian shirt and jeans because he's planning on walking through construction areas on this day, the usually suited-up Hankey, 37, doesn't often reflect on his company's successes, because there's no time. Not with so much of the city still just sitting there, waiting to be revitalized. Without a desire to go to college or a definitive end goal, Josh Hankey didn't know what his next step should be after high school. But he knew he had to do something, and following his father's footsteps into the military was the something that he decided on. "I didn't join the military because I had some big (inclination) to go join the military; I just wanted to do something, and the military has a way of forcing you to do things," the 37-year-old said, laughing. Although the Red Lion Area High School graduate believed he would travel and see the world, Hankey spent the majority of his nine years in the Army near Baltimore, at Fort Meade, as a satellite communications technician. Alexandra Dwyer had left York when she was 17 to pursue internships and jobs in the music and magazine industries, but three years later she was forced to move back and not too happy about it. Not wanting to move in with her mom or grandma, she and three other friends were invited to live at 116 E. King St. The current tenant, a friend of Dwyer's, said he needed some help paying the rent. As it turned out, the help was coming a little too late. "We moved in and immediately realized the electric, water and gas were off," Dwyer said, but the women continued unpacking, undeterred. Royal Square Development & Construction will host the grand opening of its Union Shared Workspace on May 28 from 5 p.m. to 7 p.m. Downtown Inc. will hold a ribbon cutting at 5:30 p.m. The co-working space is located at 110 S. Queen St. in York on the south side of The Bond, Royal Square Development's wedding and events venue. Union Shared Workspace is office space where, for a monthly fee, tenants rent a desk or a private office and share amenities including a lounge, conference room and office equipment. Royal Square Development and Construction is under contract to buy the Police Heritage Museum building on West Market Street and plans to turn the building into retail space, an executive with the company said. The deal hasn't closed yet, but the developer is already talking with a prospective retail tenant who would lease the entire 7,400-square-foot building, Dylan Bauer, Royal Square's director of real estate development, said late Thursday.